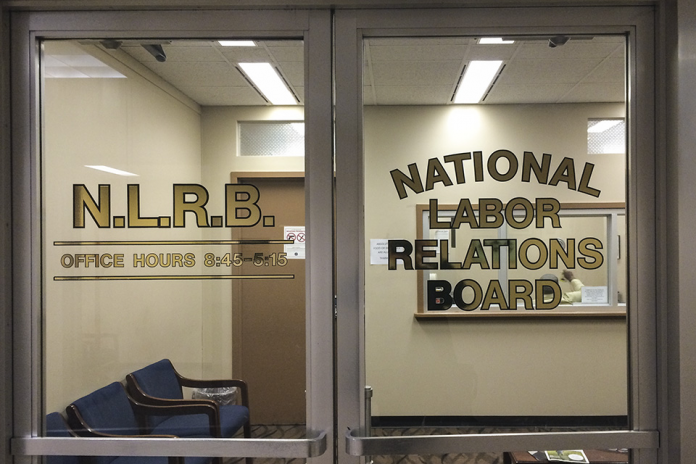 Is The NLRB Union's Request For More Money And Staff Warranted? 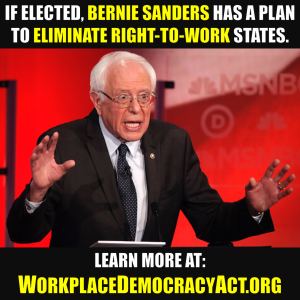 As unions continue to fall, is more money at the NLRB really needed? Last month, the National Labor Relations Board’s union asked to meet with the Senate Appropriations Committee to plead for funding to hire more NLRB employees. 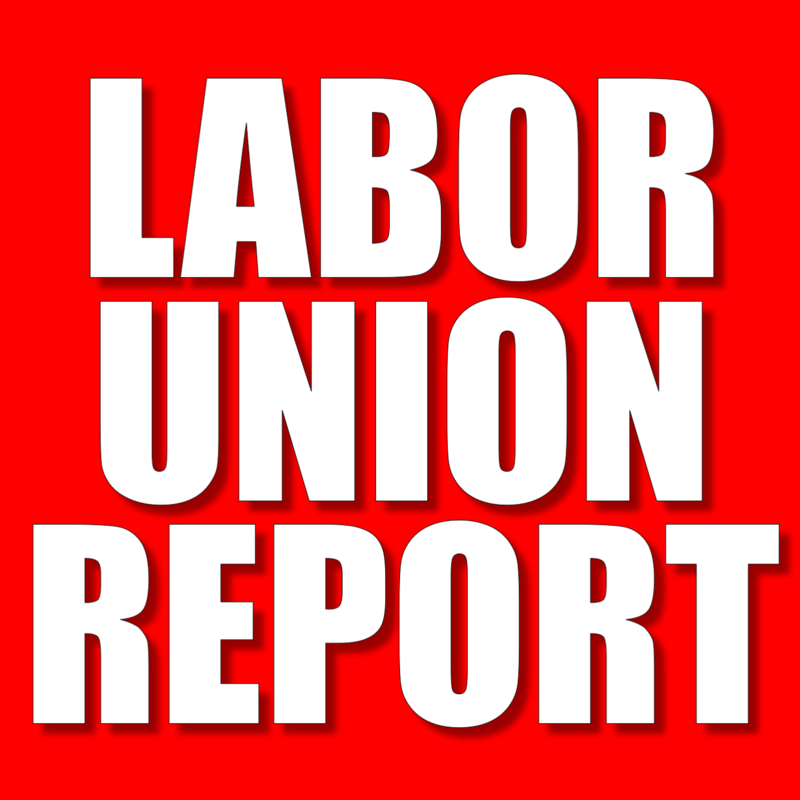 The union that represents attorneys, investigators and administrative staff working for the National Labor Relations Board (NLRB) is asking the Senate Appropriations Committee for more funds to replace staff that have left due to attrition. However, when one examines the NLRB’s case load, one must wonder whether the union’s request is justified. In a letter dated in late March to Sens. Roy Blunt [R-MO] and Patty Murray [D-WA], the National Labor Relations Board Union (NLRBU) complained about the “staffing crisis in the field” due to attrition, saying that it has “intensified” under current agency leadership. According to the NLRB union’s financial reports on file with the Department of Labor, the union’s membership has indeed fallen over the years–from 759 in 2009 to 661 in 2018. 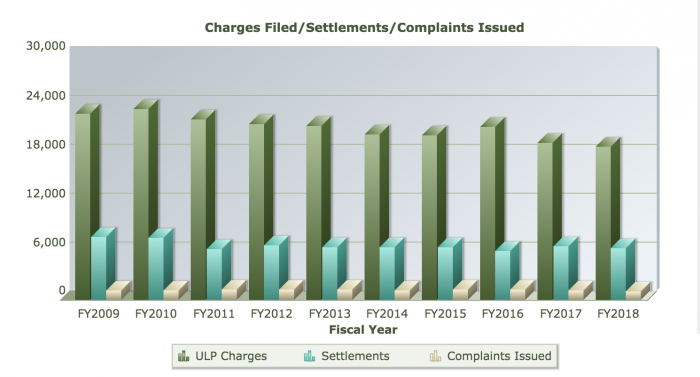 However, during that same time period the amount of unfair labor practice charges processed by the NLRB has also fallen by over 4,000 charges per year, or 17%, according to NRLB data. 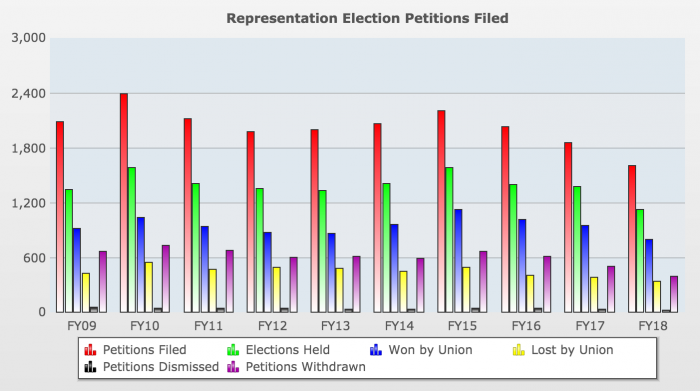 During the same period, just as charges processed by the NLRB have been falling, the number of representation petitions that the NLRB processed has also fallen–from 2082 in 2009 to 1597 in 2018–a drop of 23.29%. 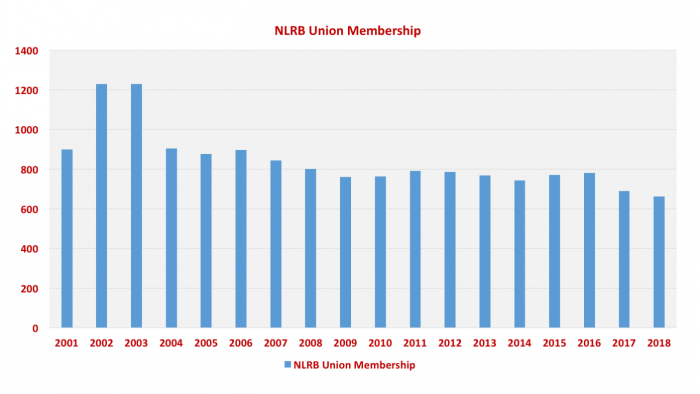 While the NLRB Union is right that its membership has fallen, so too has the case load at the National Labor Relations Board. Further, if the NLRB’s caseload continues to fall as it has for nearly two decades, there may be little reason to increase funding at all.